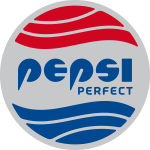 80s cult classic Back to the Future II fans were waiting to see if Pepsi would release Pepsi Perfect. The classic soda had its debut on film in a scene that took place in October 2015 and everyone wanted to know if the futuristic formula would hit shelves. To satisfy thousands of fans, Pepsi launched a limited run of Pepsi Perfect and dared Canadians to demonstrate what made them BTTF’s biggest fans. Through a combination of social and media influencer micro-contests, Pepsi Canada made sure the bottles fell into the hands of the most dedicated fans and played BTTF trivia for the whole month on Pepsi Canada’s social pages.